Last weekend, nature jobs blog editor Julie Goulds asked participants of a physics conference in Fullerton, California why they are a scientist. 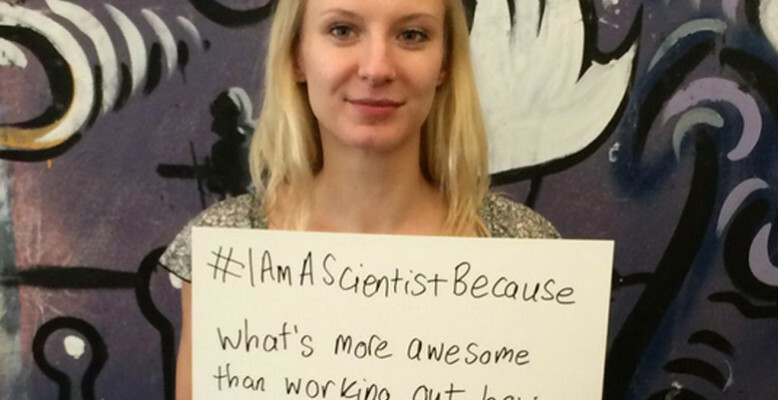 Sarah Gossan was the first to answer and establish the #IAmAScientistBecause on twitter. During the last few days scientists gave a lot of funny, fascinating and personal answers. I curated some of them in this storify collection.